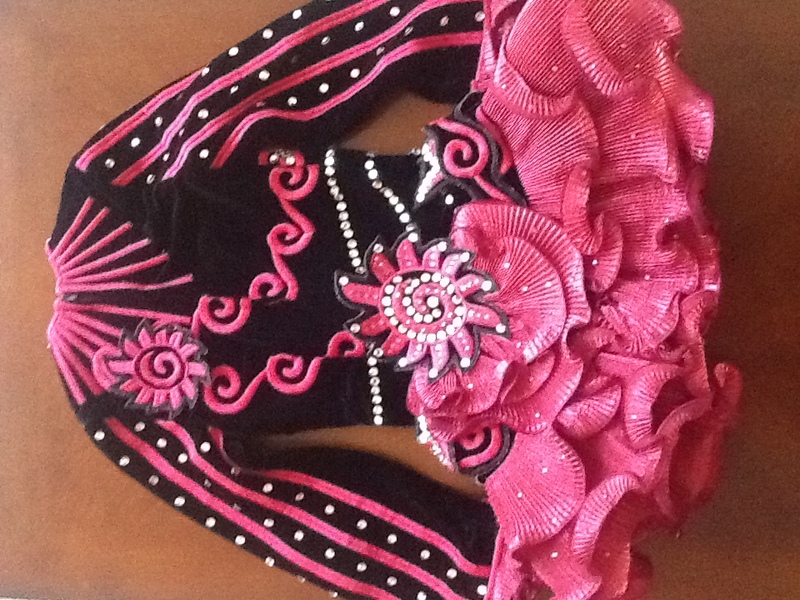 Stunning custom made Siopa Rince worn by a previous Oireachtas champ. Black velvet & dark pink double ruffle organza skirt. 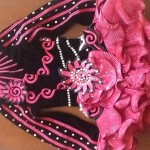 Tons of Swarovski crystals make this dress pop on stage. Comes from a non-smoking pet-free home. 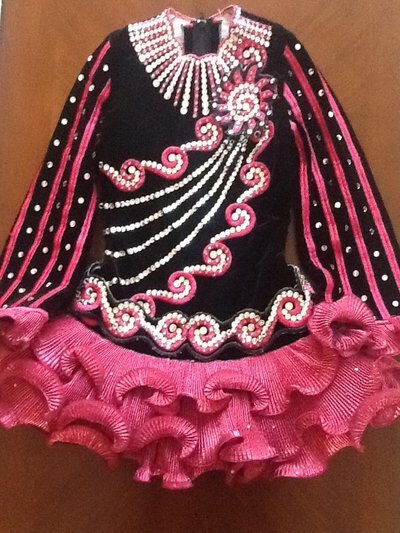 Includes matching headband & bloomers.